Climate change will dramatically reshuffle the fate of many Arctic plant and animal species. It isn't clear which populations will end up with the winning hands, particularly since the webs of interactions are so complex and it is difficult to translate global models to accurately predict what happens locally on the ground. What is obvious however, is that monitoring the status and trends of life in the Arctic has never been more crucial. It is only possible to protect species, ecosystems, and the people who rely on them, if you understand the changes occurring and risks they face. For conservation efforts to be effective they must be based on accurate science and employ strong cross-border cooperation. The Arctic is a harsh landscape, where cold temperatures and inhospitable terrain make survival a challenge. Still, the region is home to more than 21,000 species, many of which are highly adapted to their specific environments and are found nowhere else on Earth. Unfortunately, this also makes Arctic species vulnerable to change, since they cannot so easily move to another habitat or adapt to new diets in order to handle increased competition for resources. The environmental factors are changing, also the interactions are changing, so that changes the whole dynamic of the system. Globally biodiversity is on the decline, and while the Arctic has previously remained protected due to its remoteness, the rate and variety of current changes are unprecedented. Protecting the Arctic’s unique biodiversity is important for several reasons. In addition to intrinsic value, many animal and plant species are fundamental for food production and sustaining Arctic livelihoods and cultures. Diverse and healthy ecosystems are also more resilient to change since they are better able to absorb and bounce-back from disturbances. Extensive research on how climate change is affecting Arctic species is being done on the national level at both government and NGO funded research institutions around the world. Still, there is a need for better coordination between these research groups. Funding is always a limiting factor, so working with other institutions can help pool resources together and avoid duplication. When scientists join forces on ecological research across institutional and international borders, it is possible to reveal common trends across the Arctic, but also identify where there might be unique regional variations. One actor working to better coordinate biodiversity research in the Arctic is The Conservation of Arctic Flora and Fauna (CAFF), the biodiversity Working Group of the Arctic Council. CAFF serves as a vehicle to cooperate on species and habitat management and utilization, to share information on management techniques and regulatory regimes, and to facilitate more knowledgeable decision-making. It provides a mechanism to develop common responses on issues of importance for the Arctic ecosystems such as development and economic pressures, conservation opportunities and political commitments. 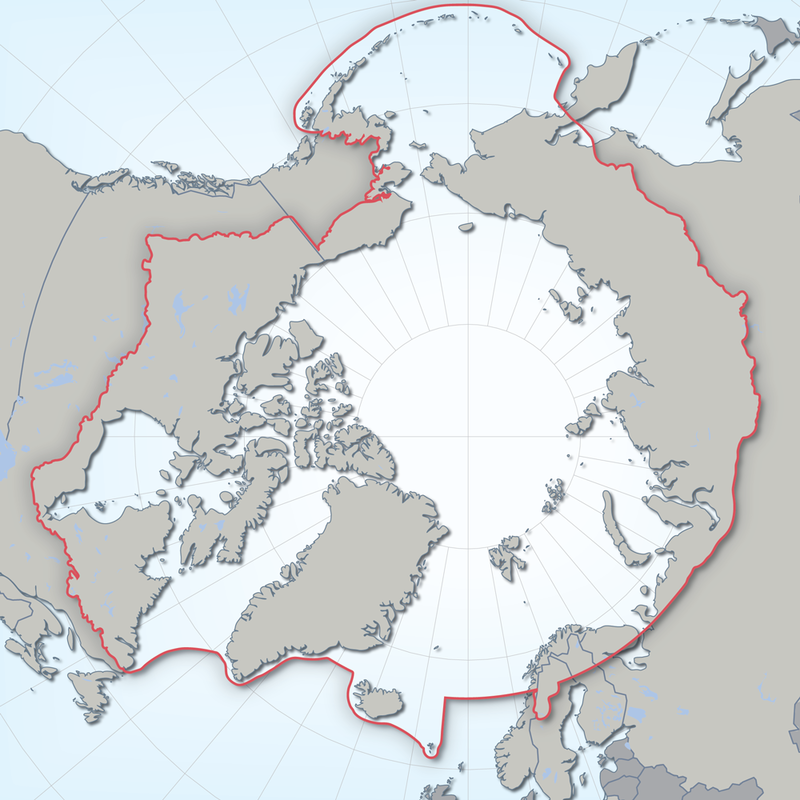 Polar projection showing the geographic boundary of CAFFs work. CAFF’s keystone program is the Circumpolar Biodiversity Monitoring Program (CBMP). The CBMP gathers scientists, wildlife conservation managers, government employees, and indigenous representatives together into a collaborative network to monitor the status and trends in Arctic biodiversity across marine, freshwater, terrestrial, and coastal ecosystems. The aim of the CBMP is to facilitate more rapid detection, communication, and response to the significant biodiversity-related trends and pressures affecting the circumpolar world. As such, it compiles information from national research institutions and produces overview reports on the status and trends from a truly circumpolar perspective. The latest report from the CBMP is the State of the Arctic Marine Biodiversity Report (SAMBR), released in May 2017. The SAMBR concludes that some marine species are already feeling the effects of climate change and shifting their distributions in the Arctic due to changing temperatures and availability of food. Invasive species from the south are also increasing competition for resources while many ice-dependent species are suffering habitat loss. Biodiversity is a shortening of the term “biological diversity”, which is used to describe the diversity of life on Earth, from the genetic to the habitat level, and the systems to which they are a part. Humans and their environmental interactions are part of this diversity. The Conservation of Arctic Flora and Fauna (CAFF) is one of six permanent Working Groups of the Arctic Council, an intergovernmental forum for cooperation between the eight Arctic States and the Indigenous peoples who call the region home. CAFF addresses the conservation of Arctic biodiversity, and communicates findings to the governments and residents of the Arctic, helping to promote practices which ensure the sustainability of the Arctic’s living resources. The Arctic Council is chaired by Finland until spring 2019, and conservation of Arctic biodiversity is one of the priority issues outlined in the Finnish Chairmanship program. Finland has committed to following up how well the Arctic Council, governments, NGOS, and other actors in the Arctic have implemented the recommendations made in the influential Arctic Biodiversity Assessment by hosting a second Arctic Biodiversity Congress in Rovaniemi, Finland 9-11 October 2018. The ABA presented 17 recommendations to policy-makers on some of the emerging threats to Arctic biodiversity and identified actions to protect Arctic biodiversity. At this second congress CAFF will gather a diverse group of scientists, academics, policy-makers, indigenous representatives, NGOs, and industry experts to discuss Arctic biodiversity management and share information, best practices and experiences. The strength of this approach is that solutions can be explored from different angles and best-practices can help guide future work. Some changes to wildlife distribution and habits revealed in the sample findings of CAFFs 2017 State of the Arctic Marine Biodiversity Report. The Arctic Biodiversity Assessment (ABA) is a comprehensive 2013 CAFF report on biodiversity in the Arctic, the first overview of its kind. The ABA concluded that climate change is by far the most serious threat to Arctic biodiversity and exacerbates all other threats, which include disturbance, habitat degradation pollution, invasive alien species, and more. 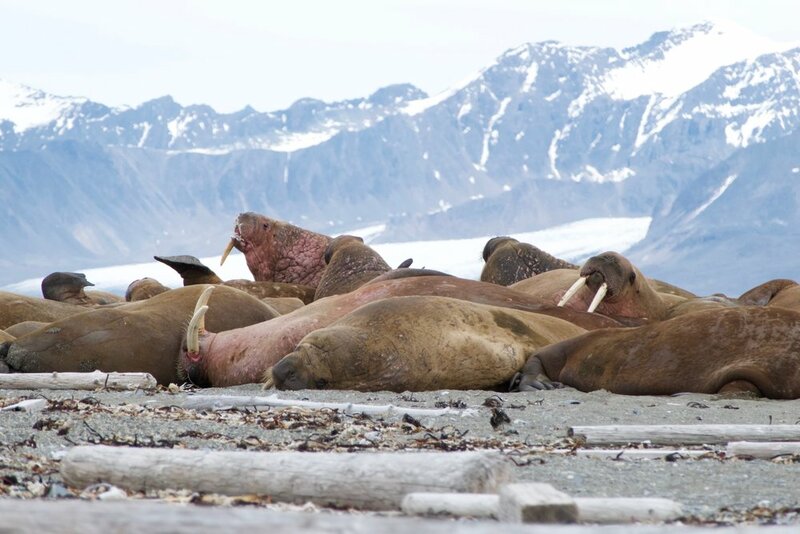 It also recommends a more holistic ecosystem approach, rather than viewing and managing species in isolation, and that challenges facing Arctic biodiversity are interconnected, requiring comprehensive solutions and international cooperation. One unique feature of the Arctic Council is the active participation of indigenous peoples’ organizations. In addition to the eight countries, six indigenous NGOs also attend the Council meetings at all levels. The Council meets twice a year at the ambassador level, and every other year the Ministers of Foreign Affairs meet and sign a Declaration on the completed work and outline future priorities. The Arctic Council is chaired for periods of two years by one of the eight countries. Finland is chairing until 2019, at which point Iceland will take over. Work in the Council is largely undertaken in the six permanent Working Groups (ACAP, AMAP, CAFF, EPPR, PAME, and SDWG). The Working Groups produce scientific reports and assessments on topics which fall within their thematic mandates by compiling information from their national research institutions. The scientific data in the reports is frequently enhanced with knowledge contributed by the indigenous representatives. The scientific reports are often accompanied by summary reports with suggested policy recommendations to address issues discovered through the scientific work. In recent years, the Council has also begun to employ short-term Task Forces to work on specific tasks. Several of these Task Forces have been engaged to negotiate legally binding agreements. So far, the Arctic Council has signed three legally binding agreements on: search and rescue, cooperation on oil pollution preparedness and response, and enhancing scientific cooperation. The Arctic Council also has a network of Observers. The Observers are particularly active at the Working Group level, where many of them contribute financially to projects. Currently the Council has 13 non-Arctic Observer countries and 26 Observer organizations. The Arctic Council has six permanent Working Groups which focus on different thematic areas of the Arctic work. Many of the groups also work on cross-cutting projects which involve one or more of the other groups. Focuses on alleviating pollution problems in the Arctic, such as emissions of soot, mercury, and other hazardous wastes. Monitors changes to the climate and environment, as well as human health issues. Works on monitoring and conservation of wildlife in the Arctic, to ensure healthy ecosystems and responsible use of resources. Develops action plans for search and rescue efforts and pollution prevention. Emphasizes the protection and sustainable use of the marine environment and resources. Enhances work on sustainable development and focuses on improving life for people in Arctic communities.